How Do Double Insulated Tools Work? One of the biggest dangers facing anyone using electric tools is electric shock. In the past, the only option available to users was a three-prong plug—a standardized plug with two flat prongs and a third round “peg” that grounded the tool when plugged into a properly-wired three-prong outlet. Modern electric tool manufacturers have given us another option which can be plugged into a standard two-prong outlet; these are called double-insulated tools. Insulation can be any number of non-conductive materials—that is, materials through which electricity cannot flow easily. Rubber is one such insulator, and wearing shoes with rubber soles was a standard practice for workers using the older electric tools (and is still a wise choice). This was especially true in areas where dampness was a concern, since water is a very good conductor of electricity and can quickly cause a “short,” where electricity flows quickly along a path with little or no resistance; typically, this was the worker’s body. Shorts result in high amperage surges that kill. Traditionally, electric tools were built with metal cases. There were several reasons for this—manufacturers had considerable experience in shaping metal, it was a relatively inexpensive process, and there were few other options. These tools had a single layer of insulation beneath the metal, separating the electrical parts from the outer case. Often this insulated layer did not provide enough protection for the user, especially in damp areas. Initially, a second layer of insulation was added to the outer skin of the tool. This non-conductive material either covered the entire tool or at least the parts where a worker might place his hands. This is one way of creating double-insulation. 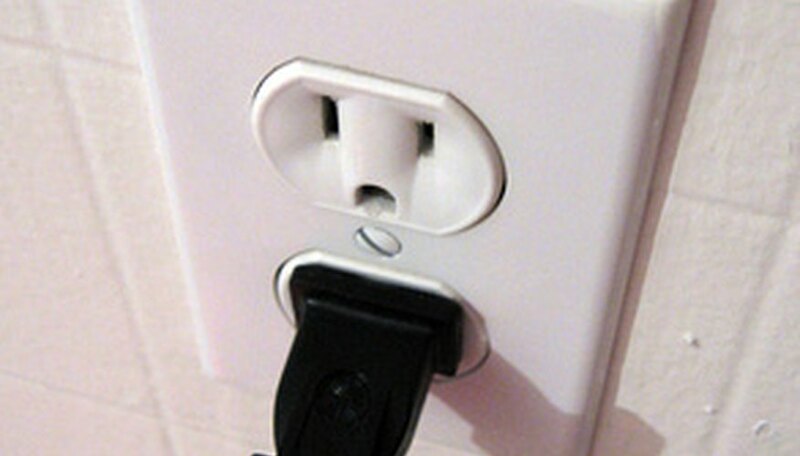 In addition, the two flat prongs of the plug are not the same size; by requiring the plug to be inserted in only one way, manufacturers can better control the flow of electricity through the tool; this helps minimize the chance of shock. As we developed newer, less conductive materials that could be easily shaped through technologies such as injection molding, “plastic” cases became the most popular method of double-insulation. By entirely removing the metal case, the danger of electric shocks is greatly reduced. In addition, molded cases can be formed to make better seals against water, which is also a factor in reducing shock. Underwriter’s Laboratories is the organization which certifies whether a tool is double-insulated. If the tool passes its tests, they allow the manufacturer to mark the tool with a “UL-approved” symbol, such as the 1,000-volt symbol; this symbol means the tool has been tested with 10,000 volts, far more than it is ever likely to see in actual use. Businesses especially like to see such markings, as this tells insurers that the business has high safety standards and should be eligible for reduced insurance premiums.